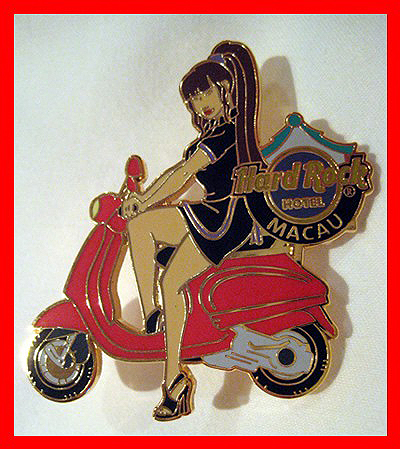 This Weekâ€™s Rare Bit Oâ€™Swag: Macau Hard Rock Cafe Scooter Pin! This entry was posted in Jewelry and tagged collectible, hard rock cafe, macau, pin, vespa by Tracy. Bookmark the permalink. Tracy, Macau is the Vegas of Asia! High Rollers Weekend should be there some time!